Been a long while since I requested a car, but the quality here always speaks for itself and I'm hoping someone can oblige me. I've been searching for this car for a good while and haven't been able to find it anywhere. 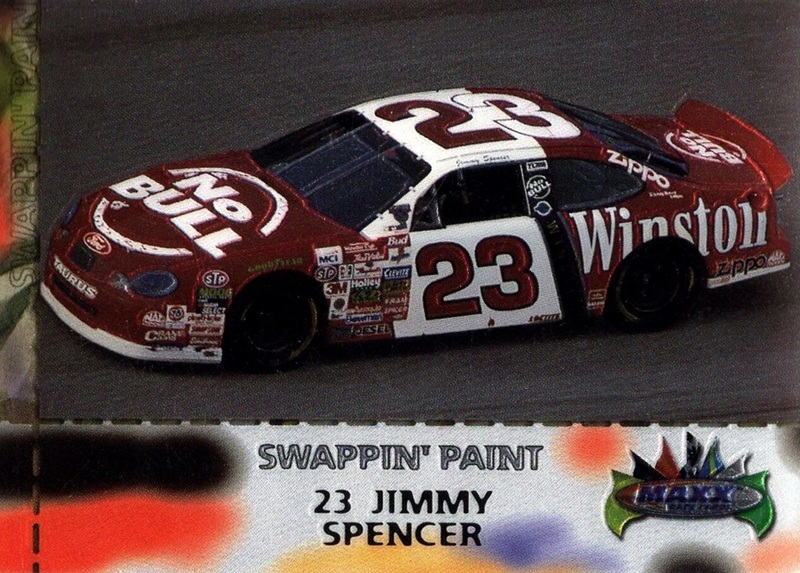 I'm after Jimmy's #23 Winston machine as raced in the 1998 Daytona 500, Jimmy was one of 3 drivers in that year's race to enter a Thunderbird instead of the all-new Ford Taurus. I have virtually every car from 1998 in my Cup90 mod, but I still lack those rare 3 98 Thunderbirds. I'd love to see someone attempt it for. My guess is it would be easiest to start with the 98 Taurus, then just transpose every logo etc to the Thunderbird template, but I'll leave it up to the painter who takes the challenge to decide how to do it. Special Requests/Instructions: Limited source material for this one, but links for every image I could find below of the Taurus version, watched the 98 race again recently and the scheme was unchanged when they flipped back to the Thunderbird. As always thank you in advance and thanks for all the great work you guys continue to share for this die-hard game! A car itself wins nothing, it comes alive through skillful manipulation. I'm housebound right now after a stroke, so I'm desperate to bury myself in some vintage Daytona and forgot it all for a bit. Managed to find some better images from the 1998 Daytona 500. Scheme was nearly identical to the No Bull scheme they ran on the Taurus for the rest of the season. It had black B-pillars and the two-tone roof and roof numbers though. Happy Thanksgiving to you and yours. I'm thankful for guys like you and sites like this keeping this game alive. That is phenomenal Joe! I've been rewatching the entire 1997 and 1998 seasons in my downtime and I'm more excited than ever to go for a wee hurl round Daytona in this machine. Thank you! So I was looking for a frontend shot of this car from the race to see the white stripe and thunderbird logo but the car show to be a Taurus in the race???? The information I was going off was from the Shootout. Robert Pressley and Chad Little both qualified with 97 Thunderbirds, Spencer was in the Taurus, but reverted to his 1997 500 Thunderbird for the Shootout Qualifier which he won. Greg Sacks also ran the Thunderbird for the Shooutout Qualifier. Spencer then ran the Thunderbird for the Shootout itself. Screengrab attached is from the Qualifier. By Happy Hour Spencer and, from what I can tell, everybody else except Little and Sacks were in the Taurus. Little, Sacks and one other driver ran the Thunderbird in the 500, but Spencer had definitely swapped to the Taurus.